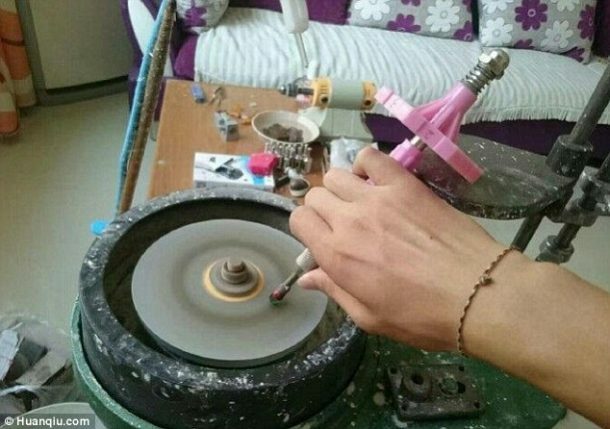 A Chinese man wanted to propose his girlfriend with a unique gemstone that truly portrayed his love and affection for her. 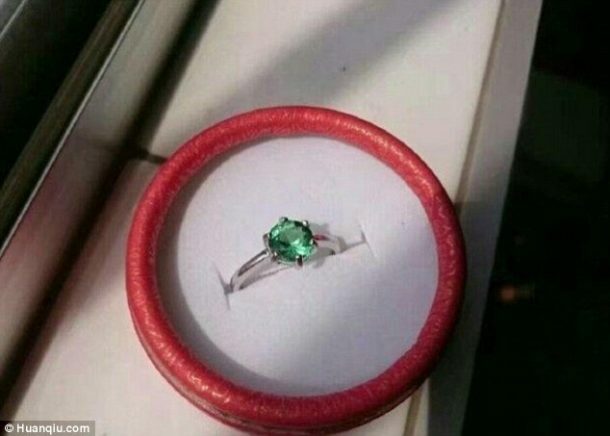 Instead of buying her a ring off the shelf, he decided to make her one with a gem not found anywhere else in the world. The nifty man knew that the most precious gemstones are crafted manually. 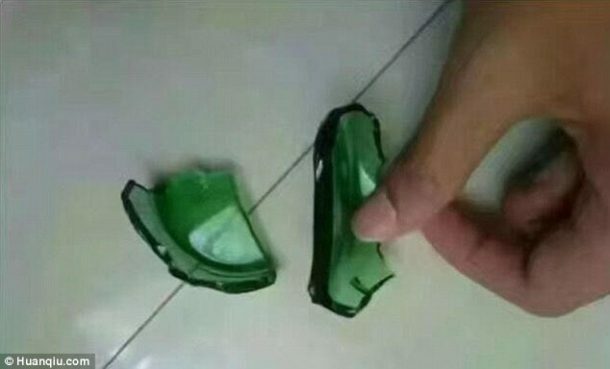 He decided to craft a gemstone out of a green coloured bottle of beer. He started off by cutting a part out the thick bottom of the glass bottle to ensure that he was left with a bigger stone. 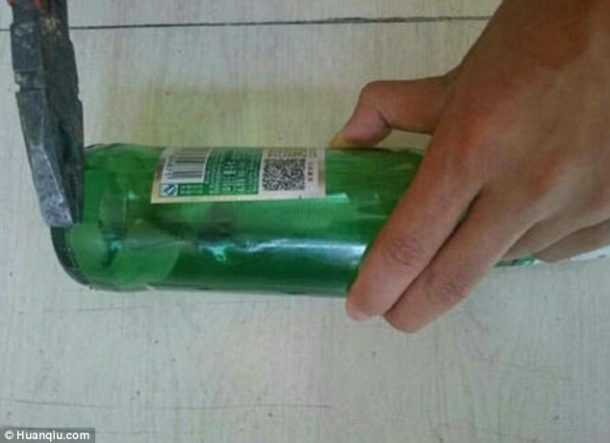 He proved his genius by expertly cutting the glass bottle without breaking it using a simple pair of pliers. The next step shows that he realises that all things made with love need patience. He patiently rubs the broken glass piece with emery to smooth out its edges. Gemstones owe their brilliance to optical laws of Physics. Thus, it is necessary for the gem cutter to be familiar with these rules to ensure that the light is reflected off the stone correctly. This requires the skill of cutting small flat facets at precise angles on the round stone. 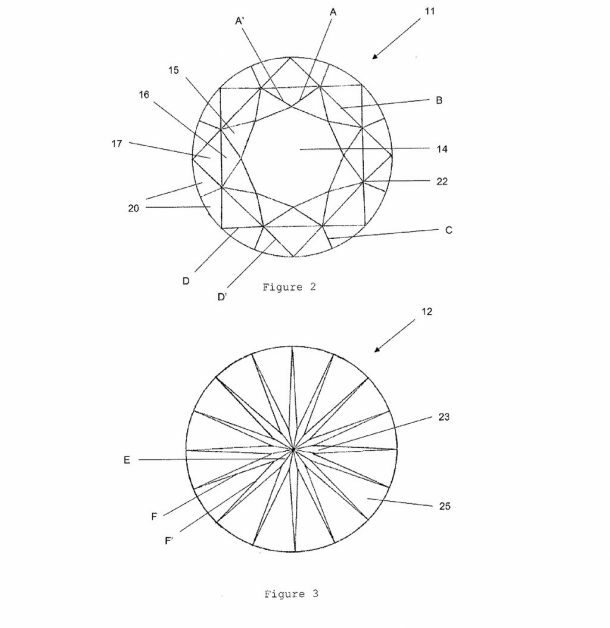 The man did his homework and chose the ideal design known as the ‘Diamond Design’ proposed in 1919 by Marcel Tolkowsky in his publication titled “Diamond Design: A Study of the Reflection and Refraction of Light in Diamond.’ The paper described how the brilliance of a round cut gemstone could be enhanced by maximising light returns with a Diamond Design. Next, he polished the flat surfaces of the stone at regular intervals using a faceting machine. 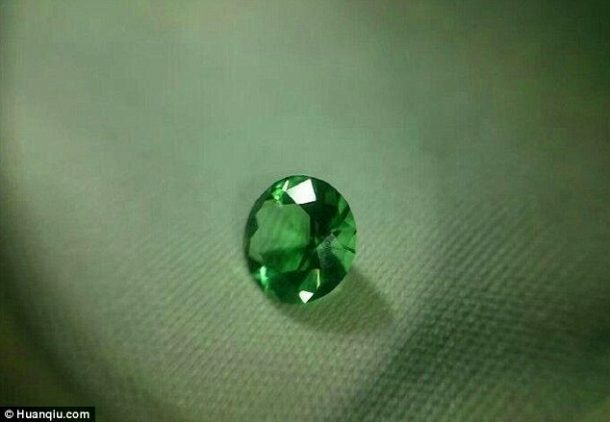 Once he is done with polishing the stone, the glass stone from the green coloured bottle of beer is transformed into a bright, expensive looking emerald pictured below. We are absolutely in love with the idea. What do you think of it? Let us know in comments! Amazing gesture and very beautiful, but that ring is almost unwearable due to the fragility of the glass. The sharp corners at the intersection of the facets will be focal points for stress, especially around the girdle, and the right impact on wrong point could easily chip or crack the stone or even shatter the whole thing. 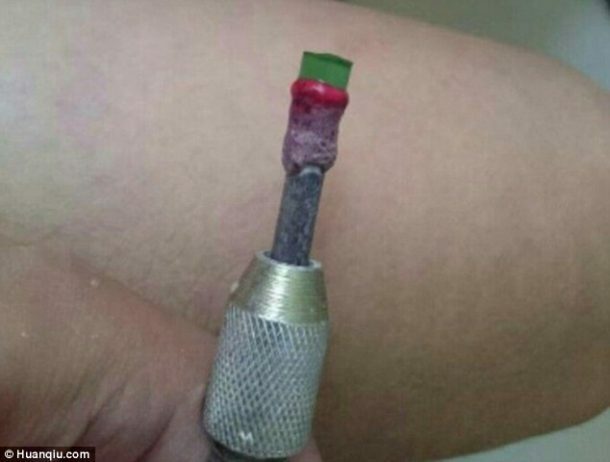 He must have been very, very careful while setting the stone, and even more careful when polishing the prong tips. I think the true message of this ring is that this guy is extraordinarily patient and careful which is a much more valuable gift all by itself.